city, and for those few brave souls who aren't afraid of heights, there's also a breathtaking tram ride up beautiful Mt. San Jacinto. flocking to this desert city at that time. The alternative is to visit during the summer when the temperatures can be debilitating at well over 100F (38C), but the crowds thin out and the hotels offer enticing deals. If you choose to travel then, stick to early morning hikes, air conditioned museums, and shaded pools, of which there are plenty, and always carry water. Known as a hang out for Hollywood stars and for its film, art and music festivals I find its events interesting but the city boring. Only two hours from Dana Point - an amazing contrast that is well worth a day or two during your month stay. HOT PLACE but a great small vacation place, downtown palm springs is great and has so many great things to do! Beautiful spot for 4th of July weekend. This particular house we rented on air bnb was so nice and centrally located. It was super hot the whole time so we stayed either in the pool or in the house the whole time. Perfect vacay weekend! Palm Springs is a gem of a city. It is a beautiful city that feels like a small town. It is very walkable and easy to navigate. The city has a fabulous Hollywood history combined with the checkerboard Indian land. The city continues to impress me every time I visit. Take in a concert, eat out at one of the zillion restaurants, enjoy cocktails and go bar hopping. You can swim, hike, explore, shop, take in a Vegas inspired show, attend a film festival, gamble or just kick back and relax. Relaxing atmosphere, great (extremely warm) weather and good vibes. People are very friendly and welcoming here - definitely a favorite. People usually go to Palm Springs to go shopping, which is what I did while my parents went to listen to a concert. There isn't much to do really except explore Downtown Pam Springs. I would recommend booking a nice hotel if you want to get away. There's a few attractions (like the lifts), but ... primarily shopping. Expensive, high-end shopping at a pretty discounted price. 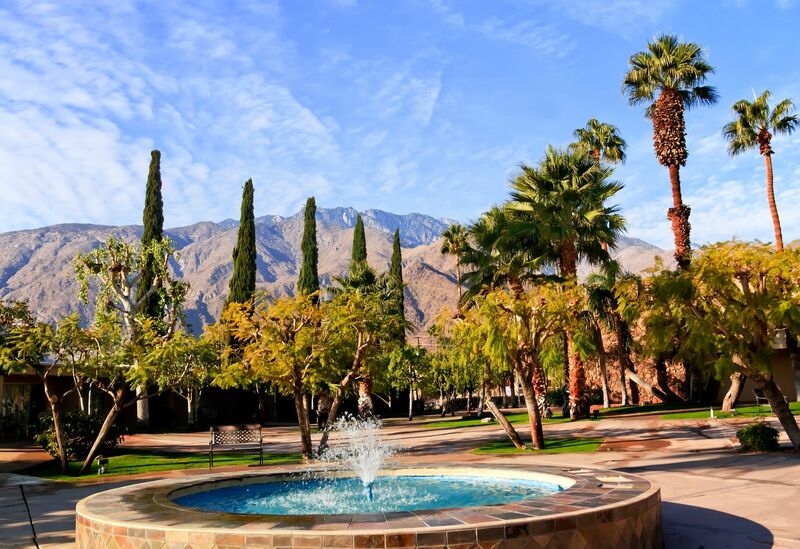 As a Southern California native, Palm Springs holds a special place in my heart. A spot in the desert to slow down and relax. Enjoy the mountain view, explore the old hollywood history, check out the mid century modern architecture, play some tennis or a round of golf...and then lay by the pool and relax. But unless you're used to it...don't go in the summer when it's 110 :-). This town is much nicer than nearby area, it actually got activities and the city often had event that keep people busy. It get busy all the time and hot as well.